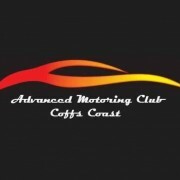 Advanced Motoring Club is a motoring enthusiasts club of Coffs Harbour NSW. This club is only for those who are keen to preserve motoring history and enjoy the experiences that these old machines offer in a friendly and cohesive environment. This club is not about politics and one-upmanship, but rather, the collegiality that a group of genuine motoring enthusiasts can enjoy together. Membership is by application only and is open to owners of vehicles that are classic (30 years or more) and those that have come of age as an emerging classic vehicle (21-30 years) or for enthusiasts who are interested in vehicles of his age. The Advanced Motoring Club offers historic registration for those members with vehicles over 30 years of age and participate enthusiastically in the 60 day log book trial. The Advanced Motoring Club also operates a Facebook page and have just started a webpage also. Inquiries may be forwarded to Advanced Motoring Club, 9/163 Orlando Street, Coffs Harbour NSW 2450.